We get this question all the time at All About Interiors. Well, I’m going to address those concerns in this article. There are some basic steps you need to think through. I always like to ask these questions on the initial contact with All About Interiors. First, why are you interested in covering your windows? This is the first critical step in the process. It is important to start the process of identifying your window treatment needs The next is what are your major concern(s)? I’ve listed the ones we hear all the time. You’re probably calling us because you have most of the above concerns! Second, one that is difficult but very necessary – The Budget! Don’t be afraid we’re not looking to reach your complete budget. The goal is help select the perfect fabric and window treatment. Please let us know your budget! The fabric selections can run from $20-$300/yd. See where we’re going with this? The budget is to ensure the fabrics you are being shown fit your budget. If there is a certain quality of fabric or design you like please let us know. We don’t want to waste your time in showing you fabrics you’re not interested in seeing. We want this to be a smooth and efficient process as possible. These steps are ideally achieved before All About Interiors comes to your home. Our goal is to find a solution to your needs within two appointments. Answering these questions over the phone allows us to better serve you. 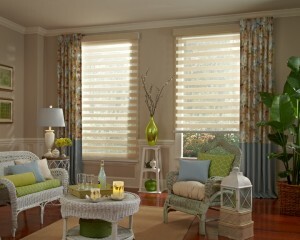 All About Interiors has over 20 years in the window treatment and design industry. We are not about doing cookie cutter looks. We know each home and client’s needs are different. If you live in League City, Clear Lake, Webster, Nassau Bay, Seabrook, Kemah, Galveston, Friendswood, Pearland, Houston or anywhere in between call us 281-538-6202. You won’t be disappointed!